Anemia causes can vary depending on the type and severity. Treatment involves restoring red blood cell loss, increasing iron intake, and improving iron absorption. A 2009 study of 19,836 Americans found that African Americans were 3.3 times more likely to have anemia. Anemia is a common blood disorder caused by any number of factors, including iron deficiency, vitamin deficiency, pregnancy, infection, autoimmune disorders, genetics, chronic disease, chemotherapy, or congenital abnormalities. Depending on the type you’re diagnosed with, anemia causes the reduction in the amount or dysfunction of red blood cells in your body. Severe anemia types can cause more serious complications, including bleeding, vision loss, infection, chronic pain, hand-foot syndrome, deep vein thrombosis, pulmonary embolism, neurological symptoms, nerve damage, and digestive tract issues. Women who are menstruating or pregnant are most at risk for developing anemia, but infection, chronic illness, or poor diet can put others at an increased risk. 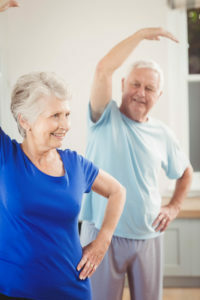 Your age and physical activity level can also put you at risk of anemia. Infants between the ages of 1 and 2 along with older adults are at high risk for anemia, as are those who engage in vigorous sports, such as jogging and basketball, which can cause red blood cells to break down in the bloodstream. Some forms of anemia can be easily treated with dietary supplements while others require long-term and more aggressive treatment to cure or manage the condition. There are over 400 types of anemia, with many of them having different causes, treatments, and outlooks. Medical professionals typically define anemia types into three categories: anemia caused by blood loss, anemia caused by decreased or dysfunctional red blood cell production, and anemia caused by the destruction of red blood cells. Iron-deficiency anemia: The most common type of anemia, it can occur when you don’t have enough iron in your body or if your body doesn’t absorb enough iron to function properly. In addition to the causes listed above, too much calcium in the diet and gastric bypass surgery can also cause people to develop iron-deficiency anemia. 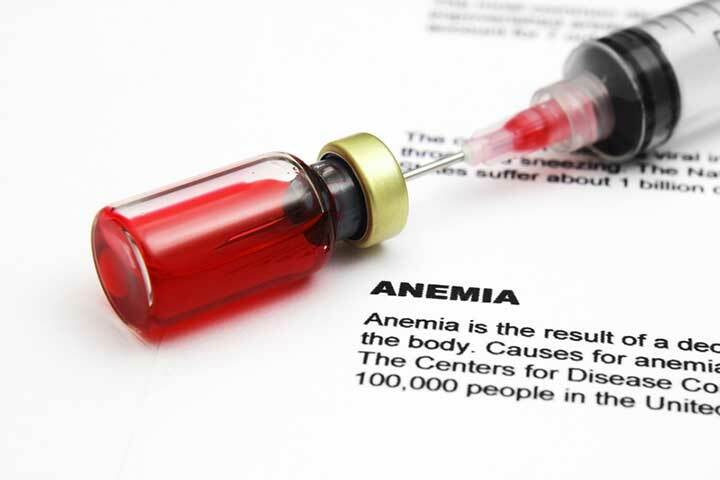 Vitamin-deficiency anemia: Poor absorption of vitamin B12 due to the lack of animal products in the diet, genetic defects, or taking certain medications (such as PPIs, H2 blockers, and metaformin) can cause pernicious anemia to develop. Without enough vitamin B12, the body produces abnormally large red blood cells called marocytes, which move slowly through the bloodstream, thus depriving the body’s tissues of oxygen. A folate (vitamin B9) deficiency can also cause marocytes to develop. Aplastic anemia: This rare disorder occurs when the bone marrow isn’t producing enough blood cells due to the immune system attacking the marrow’s stem cells. Aplastic anemia causes include viral infection, pregnancy, and exposure to toxic chemicals or ionizing radiation. Hemolytic anemia: This condition destroys red blood cells in the bloodstream earlier than their normal lifespan. It can be inherited or it can develop on its own for unknown reasons. Hemolytic anemia can be either mild or severe. Sickle cell disease, a group of inherited disorders that causes red blood cells to become hard, sticky, and shaped like a sickle, is one type of hemolytic anemia. The most severe form of sickle cell disease is HbSS, which is commonly known as sickle cell anemia. Other types of hemolytic anemia include thalassemias, hereditary spherocytosis, and hereditary elliptocytosis. The treatment plan for managing anemia depends on its type and severity. While some mild forms of anemia require no treatment at all, other types may require long-term treatment and even surgery. While some forms of anemia are genetic or occur for reasons beyond our control, there are still actions you can take to protect yourself. If you’re diagnosed with an iron deficiency, even if your doctor tells you that you’re not anemic, it’s important that you increase your iron intake. Diet will play an important role in increasing your iron intake. If you eat red meat, make sure you’re consuming at least one to two servings of meat, poultry, or fish a day. If you’re a vegetarian or vegan, you should be eating at least four servings of iron-rich grains, beans, peas, and lentils each day. You’ll also want to increase your vitamin C intake because it aids in iron absorption. But avoid calcium, fiber, phytic acid, polyphenols, coffee, and alcohol because they can inhibit iron absorption. Iron supplements may also be recommended, but if you experience any side effects, such as nausea, stomach pain, constipation, or diarrhea, consult your doctor. For more information on how to increase your iron intake, check out our “9 Iron Deficiency Symptoms You Can Identify Yourself” article. alcohol, anemia, anemia causes, antibiotics, b12, bone, bone marrow, calcium, chemotherapy, chest pain, chronic pain, coffee, constipation, corticosteroids, deep vein thrombosis, diarrhea, diet, dietary supplements, digestive, digestive tract, dizziness, ears, embolism, fiber, folate, immune system, infection, iron, iron deficiency, iron deficiency symptoms, iron supplements, nutrients, pain, physical activity, polyphenols, ppis, protein, radiation, side effects, skin, stomach pain, supplements, thrombosis, vegetarian, viral infection, vitamin, vitamin b12, vitamin c, vitamin deficiency, your lungs.